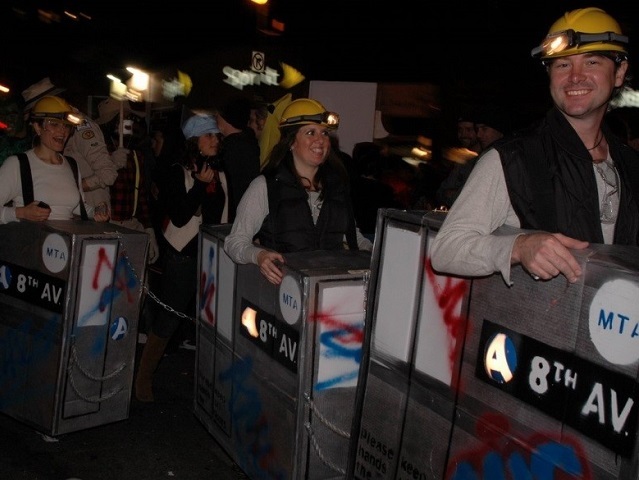 This Halloween, there are plenty of transport and urban planning inspired costumes out there – including this group dressed as a New York City subway car. Photo by Gene Han. 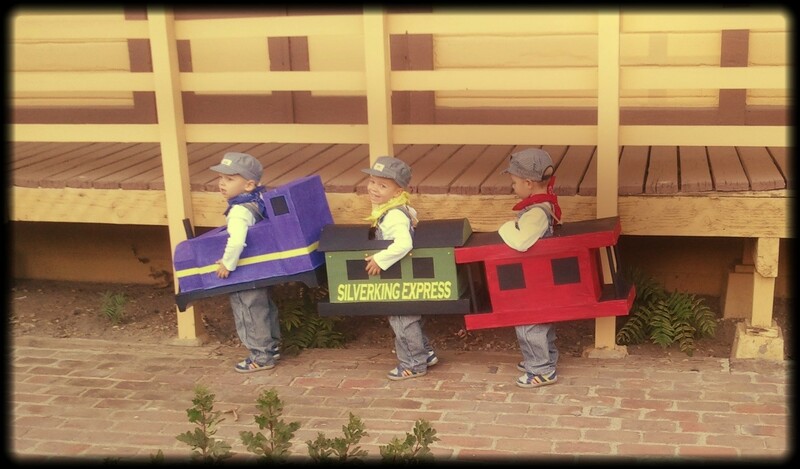 In the spirit of Halloween, let’s take a minute to appreciate all of the excellent transport and urban planning inspired Halloween costumes out there. Scouring the web reveals endless possibilities for creative costumes with a message about urban living. From Planetizen’s list of costumes for urban planners (personal rapid transit, pocket park, roundabout…) to getups for cyclists (commuter, recreational cyclist…), and eco-inspired alternatives (global warming, Mother Earth, FrankenFood…), it’s clear this holiday has gotten the sustainability cities bug. Youngsters get on board with public transport early in life. Photo by Konrad Summers. A slightly less cute, but just as enthusiastic, adult version of a New York City subway train. Photo by Gene Han. A flying monkey enjoys its trip on the metro. Photo by Sharon Terry. 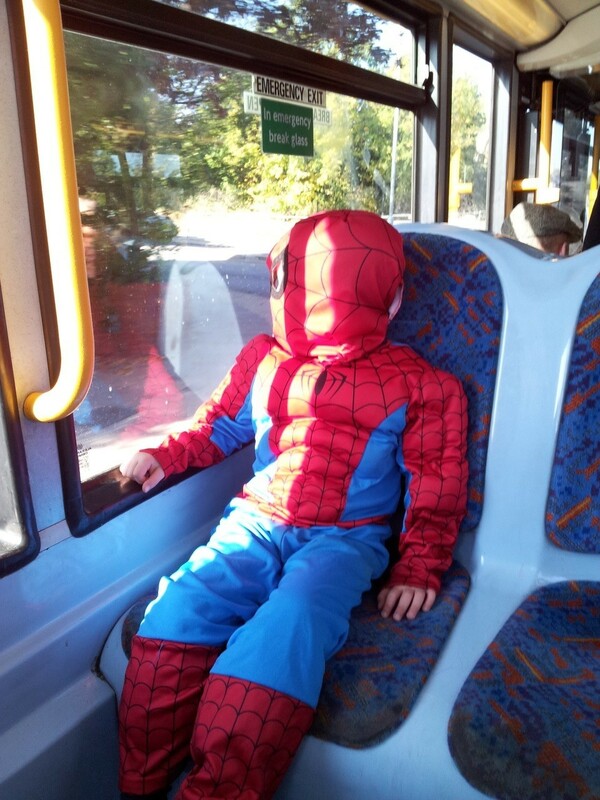 This chick is tuckered out from trick or treating – what better way to relax than catching some shut eye on the bus? 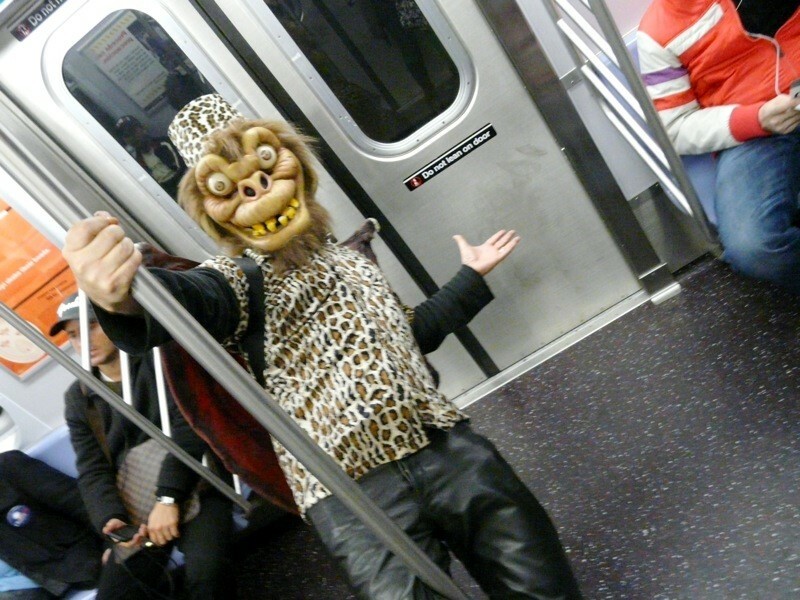 Photo by Leon R.
Did you see anything out of the ordinary during your commute on public transport today? Leave a description of the best costume you saw in the comment section!